3 April 2018 by Cameron A. As more and more people start reading food labels and learning about GMO's, antibiotics, and pesticides in our food, it's not surprising that now were are starting to look at our wine. The only difference between wine labels and food labels is the FDA doesn't require wine makers to disclose the amount of additives they add to wine. The clean crafted wine movement is to educate consumers and to provide a place for consumers to buy wine they can trust. 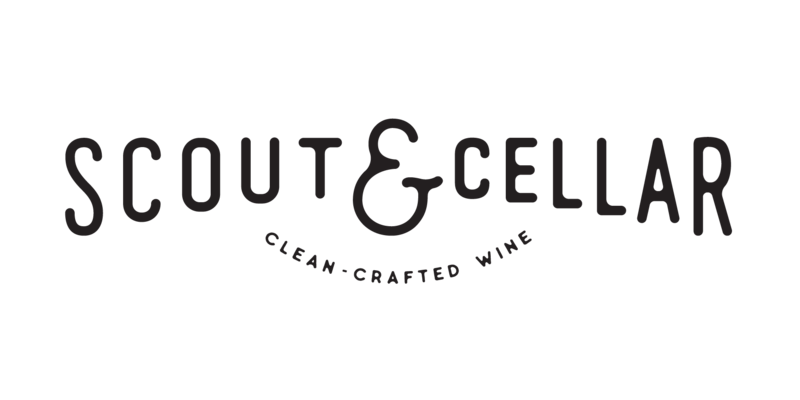 Scout and Cellar and the 'clean crafted wine' movement was started by a Sarah Shadonix. Sarah is an attorney-turned-sommelier who has dedicated her life to taking the headaches out of great wine. We mean that figuratively and literally. We’re all familiar with the stress and frustration associated with wine shopping—What pairs with what? How much should I spend? Is this brand any good?—and the sheer uncertainty of an untrained, uninformed selection. But moreover, we’re familiar with the more-consistent-than-clockwork morning-after headache that accompanies a night of wine consumption. It’s arguably the most prevalent drawback to drinking wine at all. Sarah is all-too familiar with this feeling. Ironically, it started while she was studying to become a sommelier. What started as a glass of wine to accompany long nights of cramming would eventually materialize into an unbearable headache the next day. Sarah knew something was off. A single glass shouldn’t lead to pain of this magnitude. So she began doing some research of her own. She spoke with renowned naturopathic physicians, and she consulted with vintners. Eventually, she discovered the source of these headaches: the up-to 300 chemical additives imbued in almost all mass-produced wine. Yeah. 300. Crazy, right? This is how clean crafted wine movement began at Scout and Cellar! 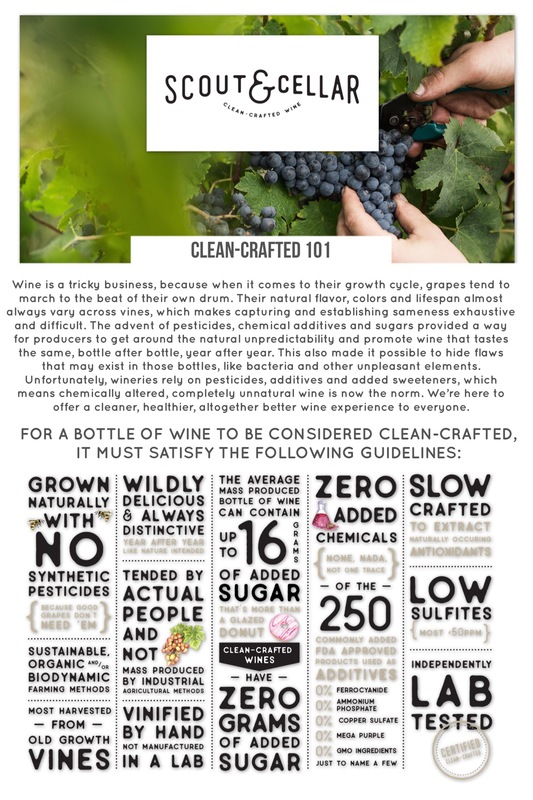 What is Clean Crafted Wine? Clean-crafted wine is wine that is Grown Naturally and Bottled Consciously, as nature intended. It’s grown naturally because the winemakers we partner with NEVER use synthetic pesticides, and they always tend, pick, and vinify their wines by hand, not with big machines or in a lab. Then, they bottle the wine consciously with ZERO of the 250 commonly used, FDA-approved additives that can change the taste/smell/color/texture of the wine. 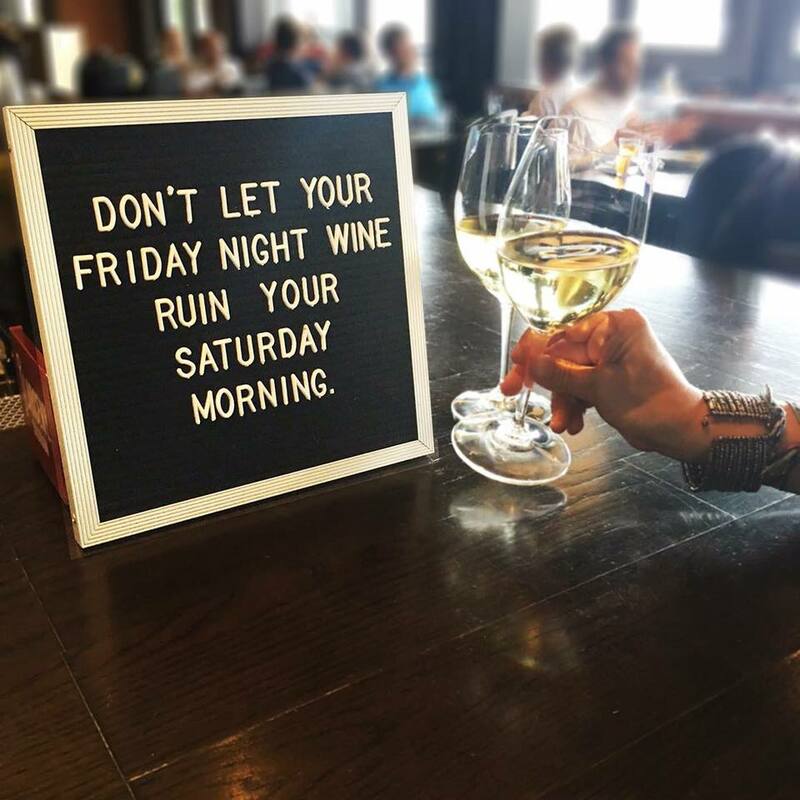 They do not add ANY sugar during bottling (mass-produced wines typically contain 16-30 grams of ADDED sugar), and they always make sure that sulfite levels are less than 100ppm...usually less than 50ppm (FDA allows 250-350ppm PER BOTTLE). Finally, all of the wines are tested at an independent lab in Napa to ensure they meet all of Scout & Cellar’s clean-crafted requirements. When the wines pass, they receive the Scout & Cellar sticker showing that they are, indeed, certified clean-crafted! ETS is the leading wine testing facility within the winemaking world. While there are various labs around the world, Scout & Cellar uses the Napa location. Want to join the Clean Crafted Wine Movement?